Got kids? Then you’ve got snackers. 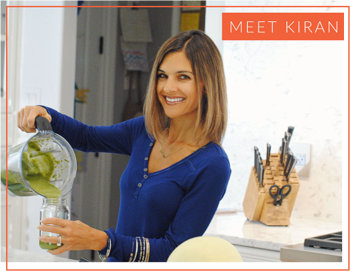 Regardless of whether they are 2 or twelve, in-between meal foods are a reality. And we all know that there are LOTS of options out there. But amidst the packaged chips, pretzels and cookies, how do you decipher which are the best ones? Worry no more; I’m taking the guesswork out of it and sharing my favorites. Here are the 9 Best Packaged Snacks for Kids. Kids RX Bars – I flipping love these bars for two reasons: they are clean and also include include a pop of protein, which is somewhat rare with bars that are void of protein powders. So I was ecstatic when they released their kids bars in June, which are essentially the same formula, just packaged in kid-sized bars with fun packaging that appeals to the younger crowd. I always keep a stash of these on hand for when hunger calls. String Cheese – An obvious favorite with the kid crew, string cheese is a tried and true snack that most won’t turn their nose up at. I’m a big fan of Organic Valley Stringles and also Trader Joe’s organic cheese sticks (not the low-fat version). LARABAR’s – Fruit and nut bars that are made with all real foods? Now these are a packaged snack that I’m totally comfortable with offering my family. Our personal favorites include Gluten Free Peanut Butter Chocolate Chip, Chocolate Chip Cookie Dough, and Coconut Cream Pie. Each of these contain no more than 5 ingredients. They also come in a handy-dandy package, perfect for tossing into the swim bag, a lunch box, or even throwing in my purse. It’s perfect for when hunger calls. Brown Rice Cakes with Peanut Butter – Even though this one isn’t packaged up altogether, this is a super easy one to put together and is another family favorite. Lundberg Brown Rice Cakes can easily be put into a reusable baggies or a (gasp!) plastic baggie. And yes, I know that this happens (quite often around here, too), so I am not one to judge! This, coupled with a peanut butter or almond butter squeezable pack makes a fabulous snack. Veggie Go’s Organic Fruit and Veggie Strip – There are LOTS of options of fruit leathers on the market, but this is one of my favorite. I love that it’s organic, and includes only fruits and vegetables. Oh, and each one has only 2 grams of sugar – score! Yo Kids Whole Milk Squeezers – Strawberry – These fall under my 80/20 rule. Yes, they have added cane sugar (organic, at that!) and organic corn starch, but one Squeezer has just 5 grams of sugar and does include active cultures found in yogurt, which are great for our kiddo’s digestion. This version is also my preference because it’s made with whole milk; I’m not a believer in low-fat anything. Organic Prairie Mighty 100% Grassfed Organic Beef Bar – For the Paleo parents, or just those who wish to switch things up, these are clean meat bars that are subtle enough in taste for littler palates, yet tasty enough to satisfy kids of all ages. While you won’t find any artificial ingredients in this one, what you will find is organic grassfed beef, organic honey, sea salt, cultured celery powder, organic cracked pepper, organic spices, organic garlic powder, lactic acid starter culture. Yes, they are not the cheapest snack, so if budget is a concern, offer this packaged snack to your kids every now and then. Roasted seaweed – In all honesty, I’m not personally a fan of roasted seaweed … but my kids freaking LOVE this stuff. All four of them! And I like that it’s a fairly clean snack. The gimMe Organics brand is just that – organic – and has just 3 ingredients: Organic Seaweed, Organic Sunflower Oil, Sea Salt. This is a snack that I can definitely get behind. So there you have it. 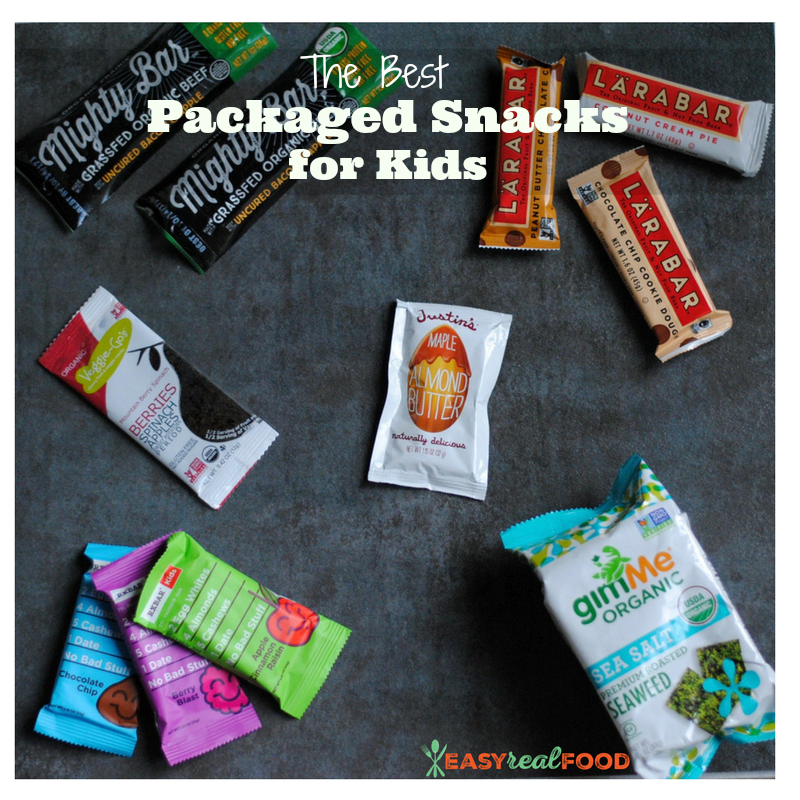 When you are running errands, when your family is on the road for travel, and for those busy afternoons and weekends when you are schlepping the kiddos to their activities, you now have a list of the best packaged snacks for kids to choose from. But before I let you go, I want to mention another tip. I oftentimes will couple one of these with a piece of fruit. Because who are we kidding – those are what are really the best packaged snacks for kids. Made simply and wonderfully by nature:). Now it’s your turn – which snacks did I miss? Please share in the comments below!